Legal hurdle passed in redeeming property in the City of the Founding Fathers and Mothers. 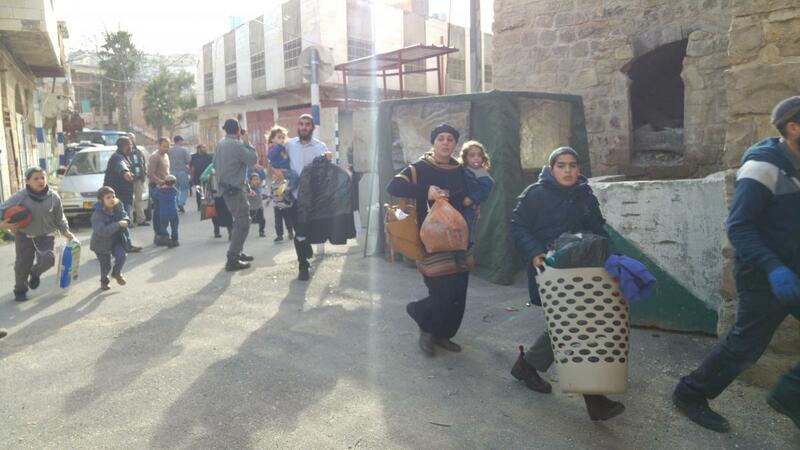 It was a year ago that two families moved in to Beit Rachel and Beit Leah, only to be evicted days later. Now they may be returning. The property in question is located near the Tomb of Machpela in the H2 section of Hebron, under Israeli jurisdiction. The claims that the legally purchased deeds to the property had been forged now seems to have been a ploy to avoid violating the Palestinian Authority law against selling property to Jews, which is punishable by death. Police transferred the case to the State Prosecutor's Office two weeks ago and recommended that the case be closed. Public Security Minister Gilad Erdan stated, "I instructed the police to hasten the investigation into the Palestinian complaints against the property documents in Hebron as much as possible. I'm pleased nothing turned up from the investigation, and hope that the houses will be occupied soon." After the 1929 massacre and subsequent eviction by the British mandatory authorities, many Jewish owned properties were left abandoned in the city. These homes were later seized by the Jordanians and either repopulated, replaced, or left abandoned. Now 50 years after the Six Day War which liberated Hebron and the rest of Judea and Samaria, the question of who now legally owns what has come to the forefront. In the case of Hebron, proprieties are purchased from existing heirs for 30 to 50 percent market value.